Why Isn’t My Car Key Working? Your car key is cut and programmed to correspond with internal components of your ignition. As your key is put into the ignition, it lines up with grooves that match with each tooth of the key. After several years of use, the teeth may begin to wear, misaligning with the ignition and the lock. Once the key is worn beyond use, it may not be able to work with your car and require replacement and reprogramming. If your keyless entry remote or fob stop working, there is a good chance the problem is a relatively easy fix. Since your remote and key cannot be turned on and off, your battery will continuously wear over a period of time, longer than most other batteries. If your car stops responding to button commands, you should bring your key to a locksmith in order to make sure you replace the batteries with the correct size and voltage. If you have an automotive chip key that is not responding to your vehicle, it may not have been programmed yet. This will happen more often with replacement or duplicate keys than the original. Without proper programming, you will only be able to unlock the doors and trunk directly through the lock. If you manually unlock and lock your car, the internal lock will undergo some wear and tear over time. After years of constant use, the mechanism may start to fail by not being able to match up with the key. As the seasons change and the frigid Massachusetts winter goes from a short, mild spring to a hot summer, the shock from the rapid temperature change can have an effect on how the internal mechanisms fit together. You are probably not with your car at all times, and several bumps by external forces such as neighboring car doors can also affect your lock’s performance over time. 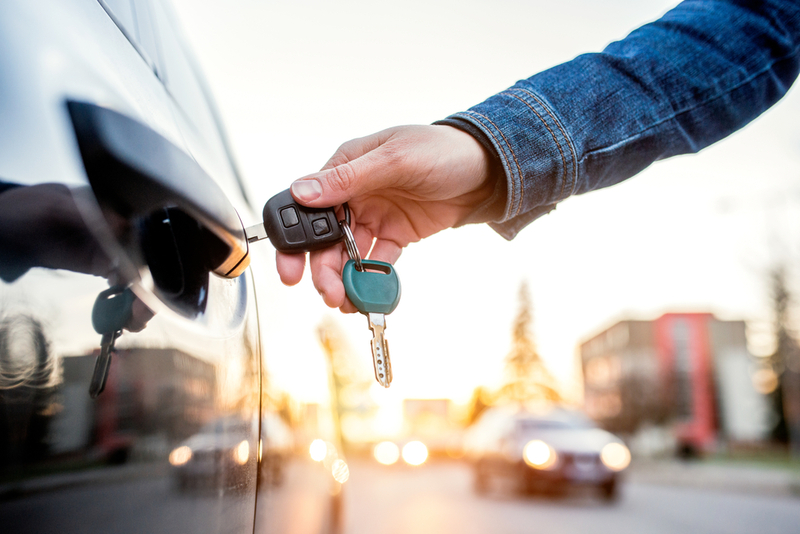 If you experience problems with your car locks or keys, contact Bedford Lock & Key for service! We are fully equipped to diagnose problems with your ignition and resolve them so your car can get back on the road. We can repair problems in-house and cut and program replacement keys specific for your vehicle. Bedford Lock & Key can be reached by calling (781) 275-1597 or by filling out our online contact form.